I’m very excited to be speaking at GoGaRuCo in San Francisco in September about taking over open-source projects, along with people like @wycats, @ultrasaurus and @pat. No pressure. I want to hear about your experiences about taking over someone else’s open-source work! Email me at dblock[at]dblock[dot]org. 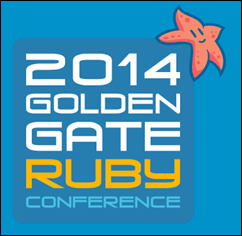 Golden Gate Ruby Conference 2014 was published on July 18, 2014 . See a typo?